This statistic displays a ranking of online content purchasing, downloading and accessing services by awareness among internet users in the United Kingdom (UK) as of May 2018. 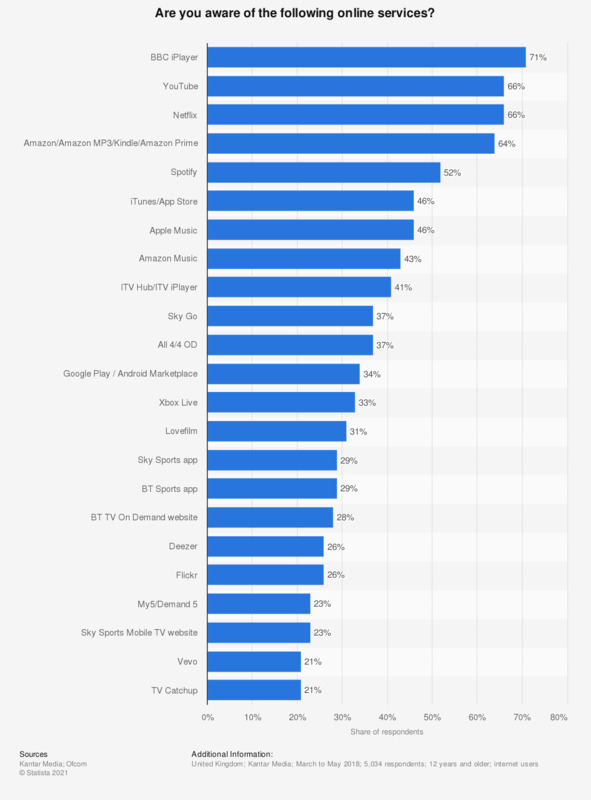 The greatest share of respondents were aware of BBC iPlayer, at 71 percent. 66 percent of respondents were aware of Youtube. Have you paid for online contents and services* in the last year?